This is the view of Templo I when looking northeast from the Central Acropolis and you can see the western wall of the ballcourt behind the trees in the bottom right corner of the photo. Templo I is commonly known as the Temple of the Jaguar because of exquisitely carved wooden lintels found in the temple at the top of the pyramid which depict a ruler sat on a jaguar throne. 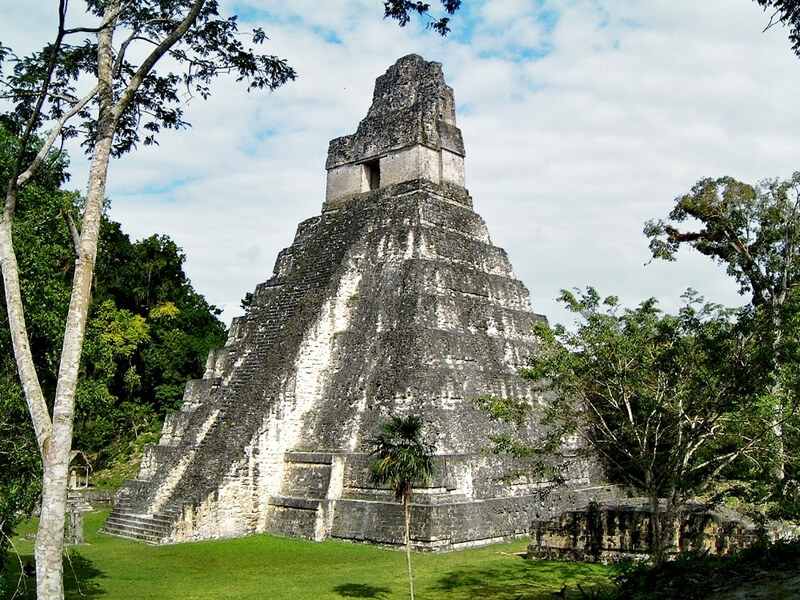 The temple was built in around 732 AD by Yik’in Chan K’awiil who was the son of one of Tikal’s greatest rulers, Jasaw Chan K’awiil I, who was found buried deep within the structure (read more).